Homeschooling our children for 5 years was both a joy and a challenge. 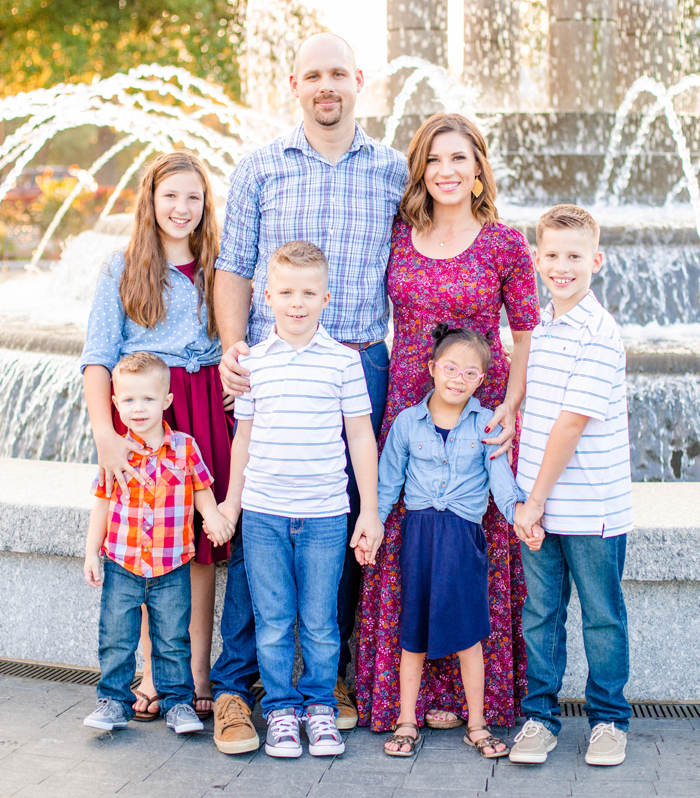 We would revisit our decision to homeschool every year, asking God for direction for each child individually, but we’ve never felt like any of our educational options were truly ideal for our family. As our kids have grown in age (and number), it’s become more challenging to create the atmosphere we’d like to have at home while being solely responsible for their education. Ideally, we would have many opportunities to impart faith and values on our children, knowing they are getting the education and experiences they need and deserve. Every summer we’d find ourselves searching for a ‘part-time Christian school’ that would best meet the needs of our family. But every year we’ve come up empty-handed. Before this school year began, we felt God calling us to make this dream combination of home and school a reality – to stop searching and start doing. We were certain there were other families just like us – desiring a great education with structure AND flexibility. Soon after we started this journey, God led us to the National Association of University-Model Schools (NAUMS) and He opened the doors necessary to launch our school in the Fall of 2017! Whether God is leading our children down a path to college or not, we owe it to them to do what we can to prepare them to be SENT. Raising up the next generation to be leaders who are equipped to go out and reach the world for Christ is our number one goal as parents and as teachers. Within the University-Model, excellent academics, character-development, and discipleship are achieved all while strengthening the family unit. It’s so much more than a school; it’s a ministry. We know God is sovereign and no matter the schooling choice, He is faithful to hear our prayers and work in the lives of our children. Public, private, Christian, homeschool, and the University-Model all have their pros and cons. We know the UM is not going to work for everyone, but it puts another option on the table for parents who are struggling to find the right fit for their children. We are so excited to see what God will do through Heritage Leadership Academy and we are blessed to be a part of it!